I have tested my brand new Mobily iPhone 3G with an STC SIM card and it worked. AhmadT tested it, too and in the UAE Shufflegazine tested the Etisalat iPhone 3G and it’s unlocked as well. So you can simply buy the iPhone 3G and switch the SIM card to the carrier of your choice. You will still be paying for a 12 month plan however you can put that SIM card in another phone if you want. This will have an interesting side effect in Saudi Arabia as I am sure some people will buy the iPhone 3G from Mobily only to resell it at a higher price without the contract. Update: iNahdi also confirmed that it’s unlocked. Update: The iPhone 3G in Saudi Arabia is officially unlocked by Apple. 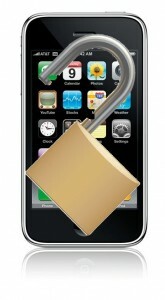 Is it true that iPhones from Mobily are unlocked? I’d like to buy one if that’s the case. oweynj yes they are unlocked, as I said I have tried it with an STC SIM card and it worked without any problems. this is my experience on that..! Is this some sort of a mistake? I doubt Apple would want to sell unlocked iPhones, I even hered that the iPhone 3.0 has a better encryption to make jailbreaking even harder. i have here Apple iPhone 3G black 16GB original. i already unlocked and jailbreak it. ready to use in any network provider. version 3.1.3 (7E18) model MB048LL.. ORIGINAL FROM CALIFORNIA U.S.A.
jawal 3g is working on mobily unlock iphone ??? thanks a lot mac…u already are doing great job at ur blog. Let me know if i can be of any help for ur blog. hey guys! !how much exactly is the cost of the iphone 3g in Saudi Arabia??? ?thnx a lot!! Wow this is amazing news, I was wondering if the unlocked iphones can be connected to itunes without them re-locking? I want to buy an iphone but I’ve heard rumours that the phones re-lock upon connection to itunes. Does anyone know if this is true? As long as you do the unlock process then you will be fine. Could you let me know where I can find the unlock process cause I don’t know how to do it. I don’t mind to have it locked from Mobily but I have two other issues. first of all, the iPhone 3G (and 3GS) are not locked to Mobily. Mobily employees who claim that are lying. It is officially unlocked ( read about it here) . 1. The price is acceptable compared to other countries (over 3,000SR for unlocked iPhone 3GS 32GB) and mobily marketing is stupid. 2. Mobily marketing is stupid. they should at least do discounts. So wait until August, it’s almost here! The hardware improvements on the iPhone is worth it! I agree with you It worth to wait till 3GS is availabe insh’ Allah. I was mistaken about the overprice issue I misunderstood the price published on Apple store that was based on 2yrs contract with AT&T. So, an unlocked 3GS 32GB will be available to buy in KSA as from 1st August 2009….. from where/whom can this be purchased and at what SR price Khaled? I will become a “customer” once all this knowledge is secured! We have no confirmation on the exact date from Mobily. Why is Mobily not publishing the release date of iPhone 3GS? And why are they so stupid? Are the bedwins running the company??? I am SOOO frustrated with them!! Please someone do something about them!!!!!! I bought my iphone 3G this july. yes, it is unlocked because iam using an STC sim card.It is great because I can call, surf the net, watch youtube and even download applications. But the problem is,I CANNOT SEND SMS MESSAGES. Can you please help me how to activate SMS? how about the 3gs, is it also unlocked? How much is the iPhone 3G in mobily branches now? I want to buy a iPhone 3g from mobily but I wont use the service plan will I still pay the monthly fees if I just put in another SIM card in the iphone and put the mobily SIM away will they still charge me the monthly fees? I`ve just got iPhone 3G, ( iOS 4.1 ),( bootloader ? ) from Amazon.com (At&T, U.S).I live in Saudi Arabia.I put my Saudi ( Zain ) SIM, but did not work.I look for a solution so my SIM can work. Pingback: WoM Lanka » Rants » What’s Holding You From Buying An iPhone?